Current Botany has been accepted for inclusion in DOAJ (Directory of Open Access Journals), which is a community-curated online directory that indexes and provides access to high quality, open access, peer-reviewed journals. This is another milestone achievement as DOAJ is important for increasing the journal's visibility. The Current Botany [ISSN: 2220-4822] is a peer-reviewed, open access journal that publishes quality articles in all the areas of plant science research. The journal welcomes the submission of original manuscripts (Please see Plagiarism Policy) that meet the general criteria of significance and scientific excellence. See the detailed Aims and Scope of Current Botany. 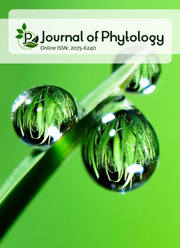 Journal of Phytolgoy has been aquired by TathQeef Scientific Publishing, United Arab Emirates since 2018 from Update Publishing, India.